Elvis Aaron Presley was born during the Great Depression into a poor family in Mississippi. They moved to Memphis during the early fifties, and as a struggling young truck driver, Elvis cut some demos as a gift for his beloved mother Gladys. The folks at RCA Victor knew that this young fellow named Elvis was destined for superstardom. 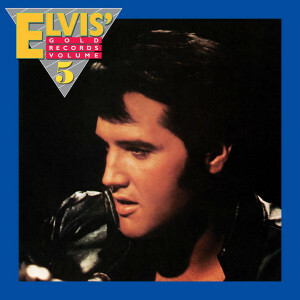 They quickly signed the legend to a long-term deal, forever etching “The King Of Rock And Roll” trademark to his name. He would eventually become the most successful solo artist of all time! Throughout the late 60’s into the early 70’s, Elvis returned triumphantly to the studios of Memphis and would go on to record many chart topping singles and smash albums, as well as numerous appearances on stage and television that have kept his legacy alive now for over 7 decades. In 1984, RCA Records created another chapter in his Golden Records franchise with the stellar Elvis’ Gold Records Volume 5. Ever proving that he was always on top of his game, the amazing album featured a treasure trove of his most important later works like Burnin’ Love, Suspicious Minds and If I Can Dream which was also featured in his Elvis NBC TV Special (also on Friday Music Vinyl). The early 80’s collection soon went on to achieve gold and platinum status and become one of his most memorable hits collections in his huge arsenal of masterful albums. Thanks to more great hits like his important Mac Davis interpretation In The Ghetto, his vocal prowess on the rocker Way Down and of course the soul drenched Kentucky Rain, this collection of Elvis Presley’s hits were just what the fans were screaming for, and the entire album was built around the framework of hit singles and album tracks that spanned his later career. In honor of the Man, the Music, the Legend, the King Of Rock And Roll, Friday Music is very proud and honored to announce the first time limited 180 Gram Gold Audiophile Vinyl release of the RCA Victor classic Elvis’ Gold Records Volume 5 by Elvis Presley. As another installment in our exciting Elvis Presley/Friday Music 180 Gram Audiophile Vinyl Series, we are pleased to present this masterwork in all its stereophonic and monophonic glory. Mastered impeccably by Joe Reagoso at Friday Music Studios and manufactured for a very limited time at R.T.I. 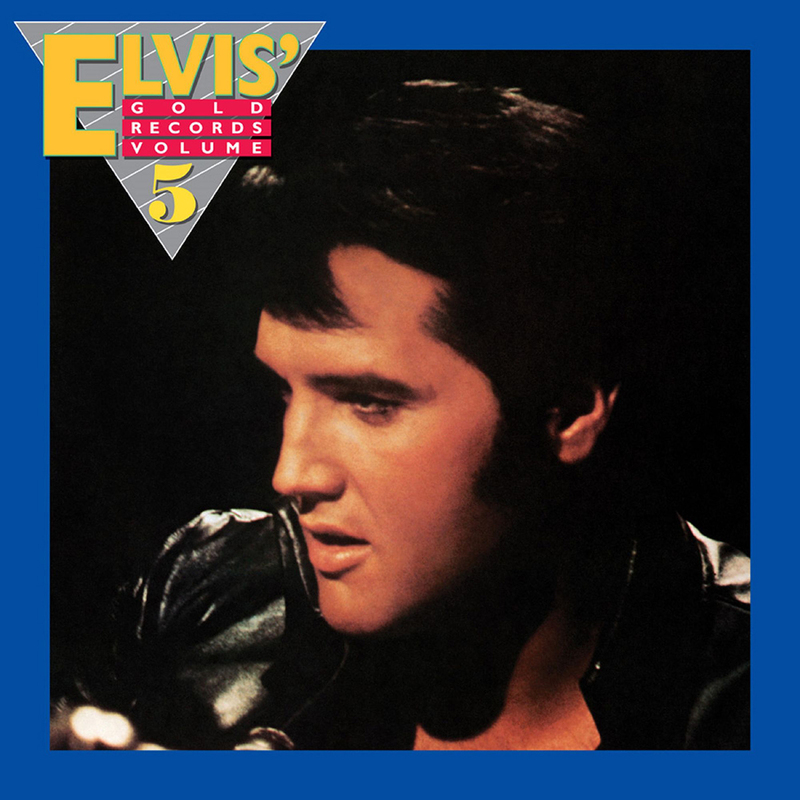 on first time translucent gold vinyl, Elvis’ Gold Records Volume 5 will be a much anticipated audiophile dream release for Elvis fans everywhere!